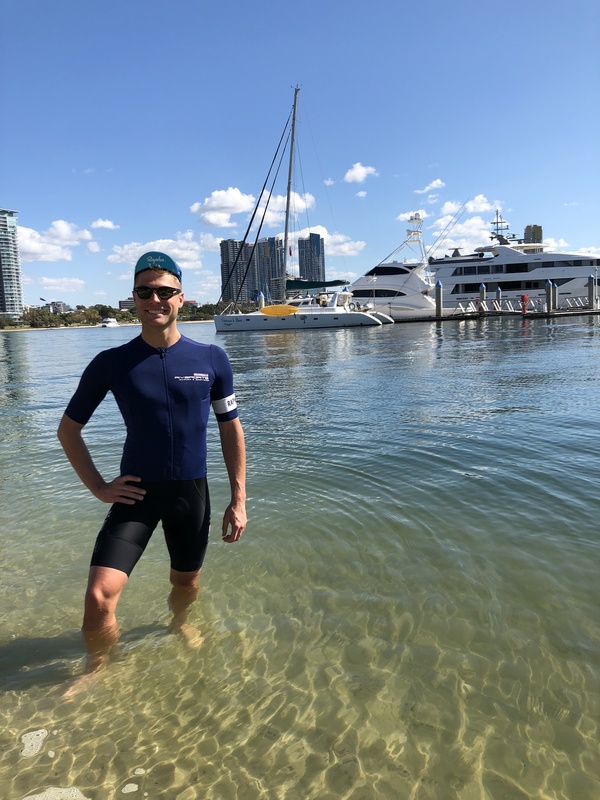 Tom Hill, Director at Rivergate Marina & Shipyard, will raise funds for Blue Marine Foundation in the London to Monaco ride, an attempt which is as much a personal challenge as a professional one. For the inaugural London to Monaco ride, Rivergate was a major sponsor and Tom rode 1,280km of the 1,500km event. A sudden storm high in the Alps during leg 8 of 11 led to a rapid drop in temperature, which coupled with “dragon’s teeth” extremes in the gradient, caused Tom’s knee to swell and hinder his ride. He pulled out of the race and a support vehicle took him to Monaco for treatment. Little did he know at the time, the swelling and pneumonia were symptoms of a much more severe health issue which Tom spent 2017 identifying and coming to grips with. Accustomed to riding 350km per week for many years prior to the 2016 event, Tom found himself bed ridden for eight long months. After a battery of tests, specialists determined he had a rare and aggressive form of arthritis eating away at his bones, muscles and ligaments. Tom Hill in 2016 with Andrew Winch. Tom Hill Director Rivergate Marina and Shipyard - looking ahead to L2M 2018. Today, lean, strong and his doctors declaring him fit, Tom is more determined than ever to complete the 2018 event, leading the peloton into Monaco. “It’s a personal challenge,” he said. “I felt I let people down last time. I am a high achiever and I thrive on a physical challenge. In 2017, I became more aware than ever of the importance of health, exercise, resilience, nutrition. I am spurred on by my own aims, but also for a greater purpose. 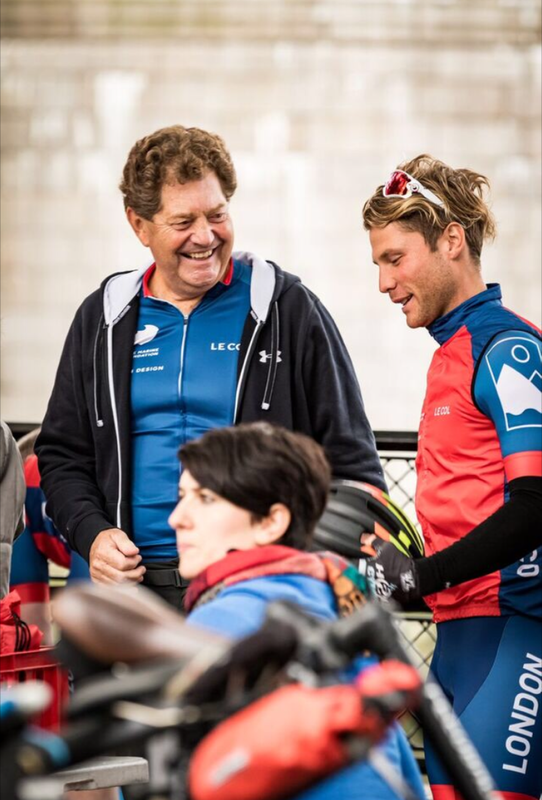 “The London to Monaco ride unites my great passions – the superyacht industry, cycling and the marine environment. This year’s ride, organised by Just Pedal, will run over 7 days, 19 to 25 September, departing from London with a celebrity send-off before carving its way the UK, France, Belgium, Luxembourg, Germany, Switzerland, Italy and Monaco, celebrating with a champagne finish at the Palace of His Serene Highness Prince Albert II the day before the 2018 Monaco Yacht Show. Founded in 2016 with long-standing Blue Marine Foundation (BLUE) partner Winch Design, the London to Monaco event was launched to help BLUE raise awareness and funds to support its conservation efforts around the world. This year’s ride will be the largest to date with 100 riders participating – 50 taking part in the whole seven-day ride. After a celebrity send-off under the auspices of 80s pop icon, Simon Le Bon of Duran Duran, riders will cycle through eight countries in seven days, enjoy a well-earned champagne with Prince Albert II at his Palace and evening celebrations at the L2M official after party. All funds raised will support BLUE’s projects on Ascension and St Helena, the Mediterranean and Lyme Bay. “Oceans are our livelihood,” said Tom. 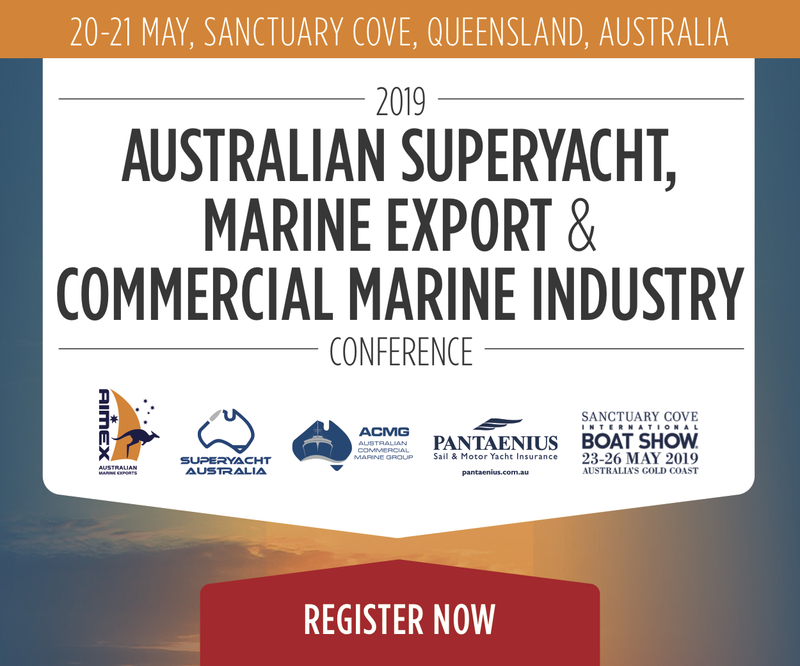 “Beyond its beauty and serenity, the sea is vital for all aspects of our lives from the food chain to the water cycle, as well as recreation and the breadth of our marine industry. Rivergate Marina & Shipyard, the family business, was established in Brisbane, Australia – gateway to The Whitsundays, Great Barrier Reef and South Pacific. Rivergate attracts some of the world’s finest superyachts for refits and maintenance and is considered the premiere regional hub for its expertise and facilities. “Rivergate has been a long-time exhibitor at Monaco Yacht Show,” Tom said. “I am pleased and proud to be returning in 2018 as part of a very high-calibre Australian contingent. Australia may have distance against us, but our message of world-leading services and superyacht facilities has sunk in. You can support Tom’s L2M ride and donate to Blue Marine Foundation here.